So a wild screenshot finally appears (and sorry its a bit cheap and cheerful)! 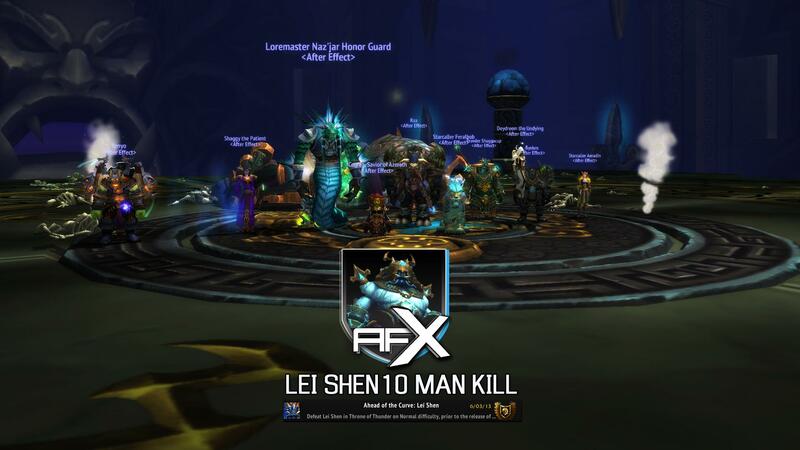 We've been playing catch up ever since MoP started and finally got Lei Shen down after approxmiately 15-20 tries in total. Cool fight, Nice mechanics but I think we just outgear it so much that it didn't really feel challenging enough. Some semi-decent loot for Dreadz and BiS chest for Jonnie. Congrats and good job all! <3 Onto heroic's where I will start doing screenshots properly!